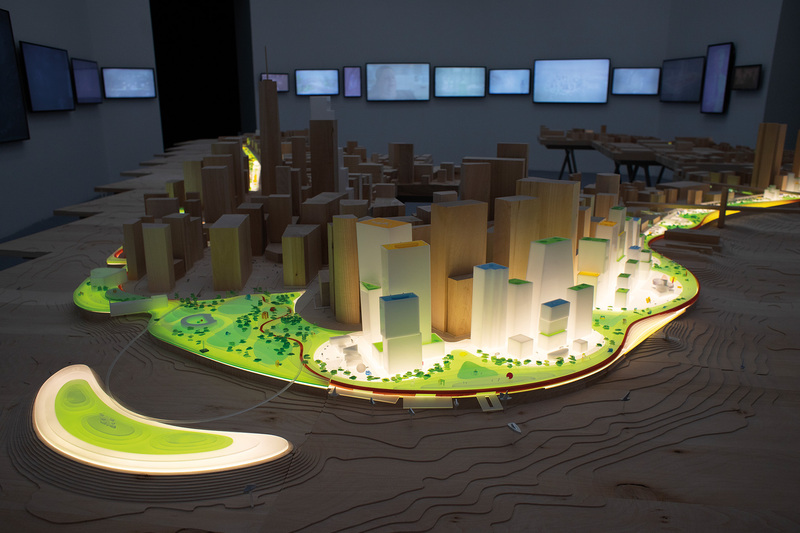 Truth be told, the Venice Architecture Biennale results from a mild adaptation of the Venice Art Biennale, bypassing a critical reformulation of the previous format into an architecture event, and all subsequent architecture biennials follow this model to some extent. The art biennial is considered vital to contemporary art and has been relentlessly discussed by critics and historians after the so called “biennial syndrome”, that led to the current constellation of 100 to 200 events spread across the globe. In architecture, the phenomenon is slight, comparatively, with only around 30 events occurring nowadays2 and which relevance remains debatable. A possible simplified definition for the word “biennial” would be that it consists of a genre of large scale and highly mediatized event in the artistic field that occurs every two years – or even three or four if we take the word at a broader sense. However, since the events are so different between one another – in terms of size, context, duration, periodicity and media impact – accurate definitions become challenging. The name appears to be a matter of branding, a way to reappropriate the success that the name “Venice Biennale” embodies. If we look further, it is perceivable that also the strategic manoeuvre behind the creation of the Venice Art Biennale was reproduced in all following biennials: the creation of a periodic institution of international scope to bring in cultural tourism and improve the city. Thus, the first function of biennials is to instrumentalize the value of art in favor of a cultural, political or economical regeneration of the host city, hence, a reason that has no direct relation to artistic practice, history or theory. Biennials have been defined in opposition to the more traditional and stable institution of the museum.3 While the museum has been considered a place for classification, canonization and preservation, biennials are commonly associated to experimentalism, enquiry and risk. Today, as biennials became highly visible and prestigious to the art and architecture fields, they also constitute stages for canonization and celebration. Due to the immediacy of today’s means of communication, long gone is the idea that biennials are the places to hear about the latest trends in the field of architecture. Therefore, it is actually widespread the ideal of biennials as sites for producing criticism, research and knowledge. This purpose approximates biennials to disciplinary discourse, something that makes clear that they occupy a significant, albeit specific, role within architecture cultural production. Also, the public character of biennials – the way they engage cities, cultural institutions and the public, whether actual visitors or online audiences – highlights the potential political and social role of architecture biennials. When compared to other cultural institutions dedicated to promoting architecture today, biennials seem to be unique in the way they allow to negotiate the ties between the city, architecture and its publics.4 The figure of the curator is usually responsible for this orchestration5 and often uses architecture’s specific knowledge. 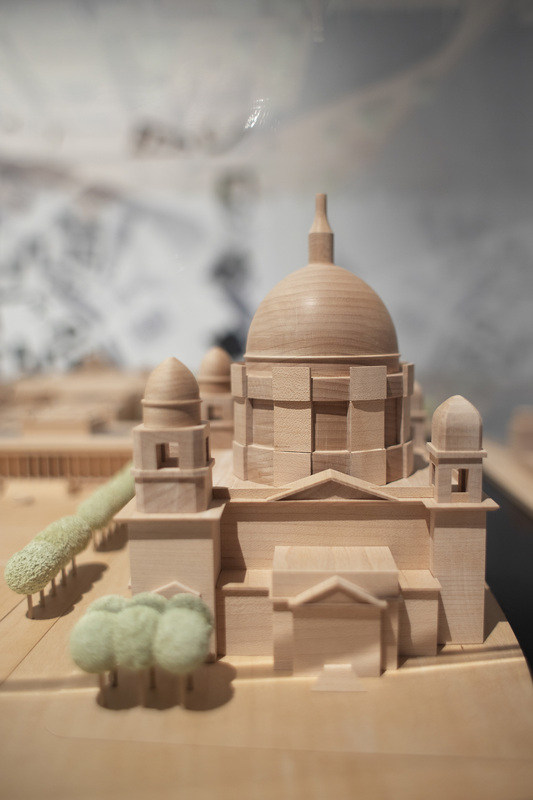 Such orchestration depends on the intended purposes for the exhibition, whether that it is to think about the past, present or future of architecture, to make a political stand, to involve the city, to experiment spatial or social qualities in a life-size pavilion. Biennials allow to experiment with different ways to represent, discuss and broadcast architecture and test them directly in the public sphere, but also to create contexts instead of objects and to bring people together. It all depends on the particular critique the curator wishes to put forward, and its relevance to the field of architecture is often fully grasped later on. In this sense, biennials tend to offer an overview into architecture curatorial trends, more than of architecture itself. Therefore, it seems the biennial format conveys a particular circulation of discourse in architecture. This year’s iteration of the Biennale can be interpreted as resulting from the Venice Biennale’s own special format. The pressure of the prestige makes the Venice Biennale highly hierarchical, hence, every recent general curator has been someone already well reputed in the architecture community. The selection of Farrell and McNamara was not an exception, and conceded them the opportunity to share their views on what’s “good architecture”. Of course, a lot of the participants are “star architects”, such as Chipperfield, Peter Zumthor or BIG, the parade of famous names being necessary for the success of the exhibition, in terms of visitors’ numbers. The Venice Biennale’s unique feature of the national pavilions invites for constant reformulation of national identities in tension with the increasingly globalized culture. This is true for every pavilion, but particularly the pavilion of Belgium that problematizes a European identity, or the pavilion of China that reflects on the growingly globalized countryside. Even the general theme “Freespace” could be construed as no accident as to rethink national boundaries, and this kind of thinking was in the origin of pavilions like the one of Germany (Unbuilding Walls) or the USA (Dimensions of Citizenship). 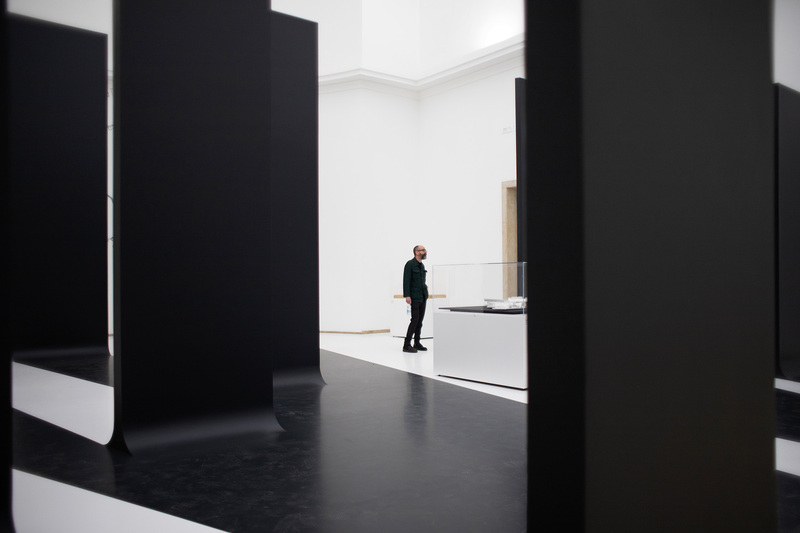 The general theme “Freespace” was used as an excuse for some experimentation in the exhibitions design, something natural to biennial exhibitions that gains new meaning in the celebrated stage of Venice. This was the case for the empty British pavilion, or the Dutch pavilion, where a locker room was used as a flexible and interactive set. The Venice Biennale is largely unrelated to the city, a retreat from the real world, expensive to go to and ultimately inaccessible, which undermines the potential didactic and democratic functions of the Biennale. This year’s exhibition has unprecedented focus on education (with the “Biennale Sessions” and “The Practises of Teaching”), something that might actually have more to do with tendencies in the institutional policies everywhere and with the curators’ interests than with concerns for making the biennale more accessible. Despite the many limitations, its reputation associated with an incomparable media projection and international scope continues to make the Venice Architecture Biennale one of the most important forums for architecture today. Having been considered at times as a seismograph or a compass for contemporary architecture, the Biennale is now more of a particularly visible part of the ecosystem of architecture culture, contributing to the construction of a public understanding of contemporary architecture and its representations. 1 This issue stands on recent talks and publications on art and architecture biennials such as: the compendium “The Biennial Reader: an Anthology on Large-scale Perennial Exhibitions of Contemporary Art” edited by Elena Filipovic, Marieke Van Hal, Solveig Ovstebo in 2009; the cicle of conferences “2016-Ennials” curated by Léa-Catherine Szacka and Rute Figueiredo; the roundtable “Why Biennial? and Triennial?” in the 2012 Istanbul Design Biennial; the “Architecture on Display” research conducted by Aaron Levy and William Menking on behalf of Slought Foundation and the Architectural Association in 2010. 2 Some of the major architecture biennials take place in São Paulo, Quito, Oslo, Roterdam, Shenzen, Lisbon, Moscow, Istambul and Chicago. 4 This was one of the consensual points brought about in the “2016-Ennials” conference cycle. Joana A.Graça is a student at Porto School of Architecture, presently developing a master thesis on the subject of architecture biennials. She studied at Oslo School of Architecture and Design for one year under the Erasmus+ exchange programme. 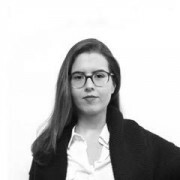 Currently, she is a member of Dédalo Magazine’s editorial team and works as a monitor of educational services at Casa da Arquitetura - Portuguese Centre for Architecture.